What do you do if you want to go riding in the cold? Take a cue from Tammy – go buy some heated gear. Editor’s note: Yeah, yeah, we know we just ran a review on heated gear last week. But let’s face it: Anyone who’s out on a bike right now is going to be interested in the stuff. Where’s all this global warming David Suzuki has been promising us? 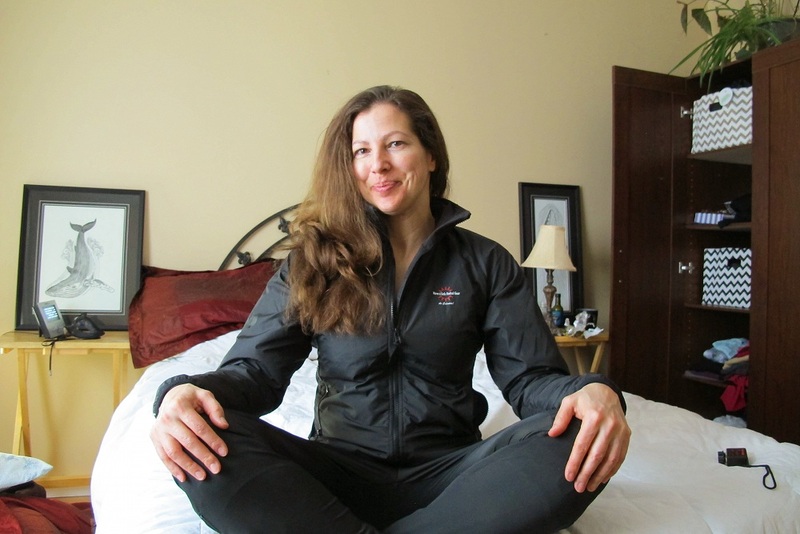 This week, Tammy Perry reviews gear from Warm & Safe for us. 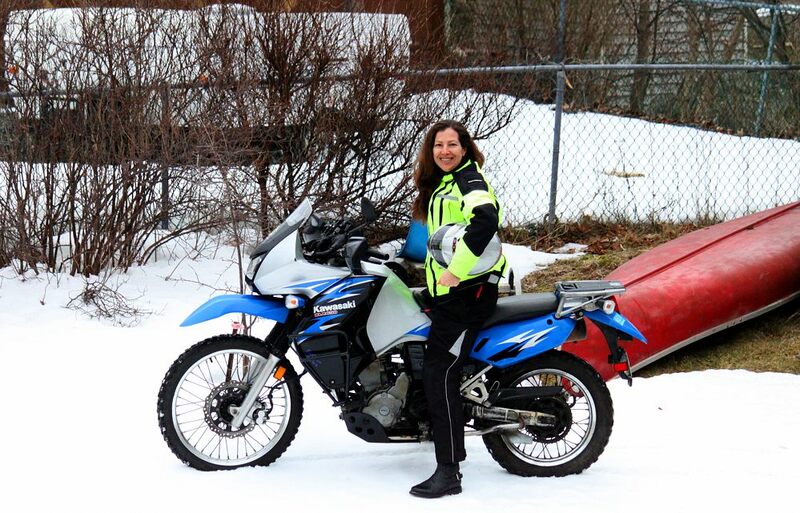 When you live in a Northern climate, the riding season can be short – too short. Temperatures drop below a comfortable riding level in October, and barely break into rideable temperatures in May. Even with extra layers and heated grips, taking a long trip in balmy 10 C weather can become uncomfortable and even dangerous if you’re chilled to the bone. Reaction time, dexterity and concentration all drop when you are cold. In fact, there have been studies done that show your visual reaction time to red green and yellow are significantly increased when you are cold. On a cross-Canada trip in 2011, even though I was travelling in July, a windy northern Ontario called for donning every piece of clothing I had with me, including my rain gear, in order to stay warm. Bundling up like that restricts movement – it made the ride uncomfortable and somewhat unsafe. On a trip to Maine and New Hampshire in 2012, I tried a battery pack style heated jacket, with a lithium battery powering heated panels in the chest and back. Although the jacket is nice on its own on a cool day when out walking, I found it too bulky under my Tourmaster, and it lacked heating elements in the zones where I needed it most—the arms, and neck. The battery lasted only a couple hours as well, so I decided it was not for riding, and relegated it to other outdoor activities. The Generation 4 Women’s heated jacket and pants by Warm & Safe, on the other hand, have proved to be an exceptionally comfortable season extender. They feel as light as a feather, and barely noticeable under my regular riding gear. I was concerned that my KLR650 would not be able to handle the draw on the power, especially since I was using heated grips as well, but the company recommended the 65-watt over the 90-watt version, with no apparent affect on my battery or other electrical devices. The installation of the wiring harness and “troller” was super-easy. I just removed my seat and side panels for access to the battery, removed the black (ground) wire first, then the hot (red) wire, attached the red end of the wiring harness to the red terminal, and the black to the black in that order. After tightening the screws, I used a plastic tie to attach the female plug end so it poked out from under the front of my seat. 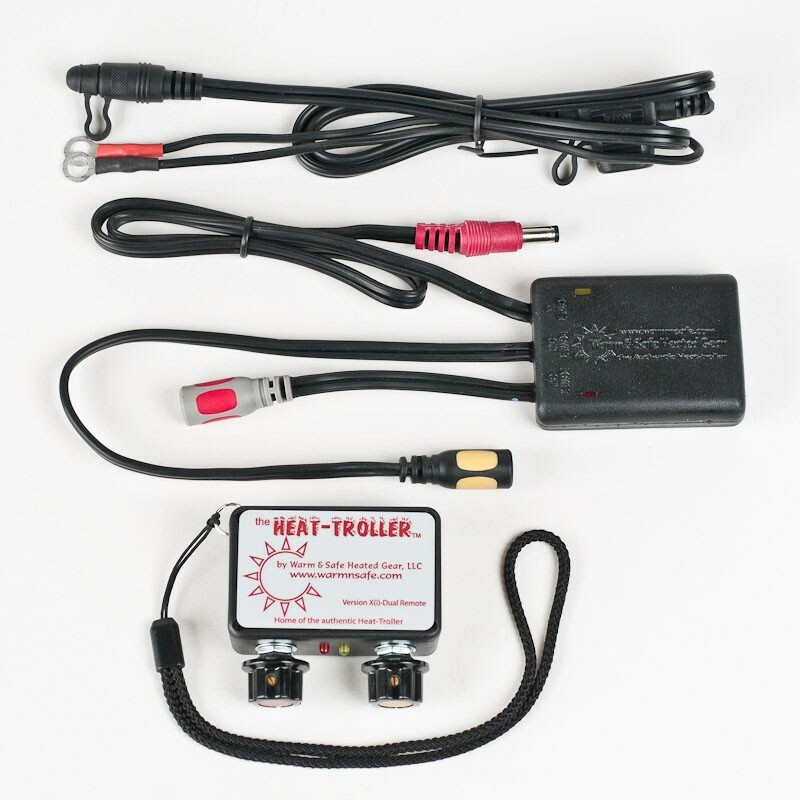 The wiring harness gets the power to the heat troller that controls the temperature. You can plug the jacket directly into the power supply without the controller (I tried it), but it is quite warm, with no way to turn it down. Warm & Safe includes a remote control that fits in your pocket, or mounts to your bike, and synchs with the troller that plugs into your gear. I have a dual remote control; the instructions for synchronization are simple. Before I turned the power on, I turned the red remote knob on and off three times (six clicks) until it started flashing. While it was flashing, I turned the power to the bike on and plugged in my liners. With the heated grips set at 100%, and both the jacket and pants’ temperature controls on bust, I started the bike (revving around 1500-2000 rpms). I have a normal, stock headlight and that was on as well. The battery was showing 13+ volts so I was happy that my stator was supplying enough power to charge the battery with the extra gear on it. Warm & Safe say on their website that the heated jacket will run on a 7.4 volt battery, but it is not going to perform well. Through last fall and winter and this poor excuse of a spring, whenever the roads were clear of snow and ice, instead of sitting on my bike in the shed and making vroom-vroom noises, I could actually take the KLR out and go for some pretty decent rides. 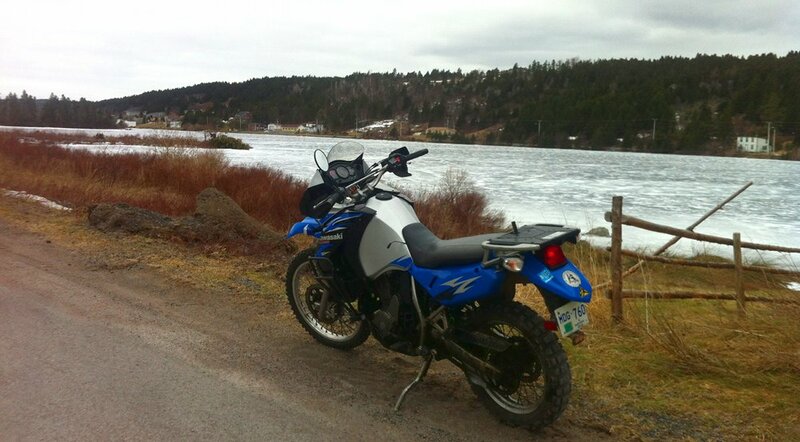 Several of the rides were in windy, sub-zero weather. My heated pants were toasty warm—I could really feel the warmth on the tops of my thighs, and the jacket kept me warm from the collar (really nice to have a heated collar) all around my trunk and even down my arms. The only spot I found cold was my chin.The jacket and pants certainly heated up faster than my previous battery-operated jacket; it was almost instant. The Generation 4 system has lighter carbon wiring, and reflective piping to make the jacket more wearable off the bike, but the less expensive Generation 3 jackets are said to be just as warm and comfortable. So, dudes may not need the pants, but ladies, I recommend them for those longer trips. 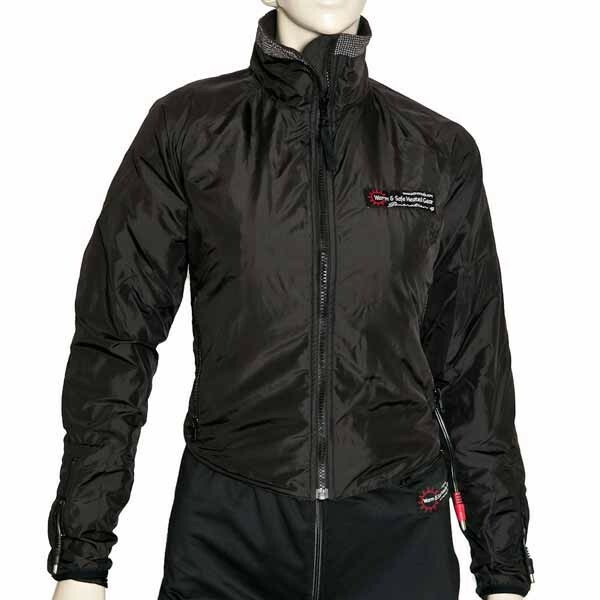 Pricing for the Warm & Safe jackets vary between $129-$239 with a waterproof version for $289. They offer trade-up pricing if you want to upgrade to a newer Warm & Safe system, or even if you have a competitor’s brand. They have installation and other instructions on their Youtube Channel, but I found the wiring pretty intuitive, and the package instructions quite clear. I’ll never understand why so many riders dump money as first priority on an aftermarket exhaust, rather than heated gear. If they were “true” motorcyclists, they would understand the benefit of an extended riding season with heated gear.